How do I export/download/print as a PNG? 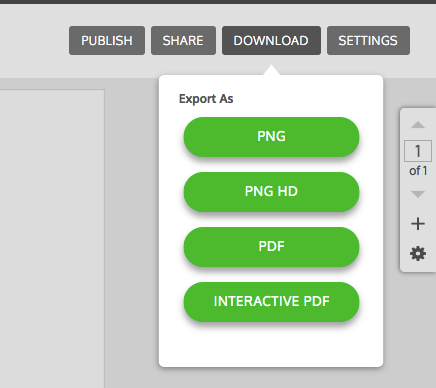 When you are ready to export your work as a PNG file, click on the download button in the top toolbar, located on the top right corner. When the menu drops down, you have two options. 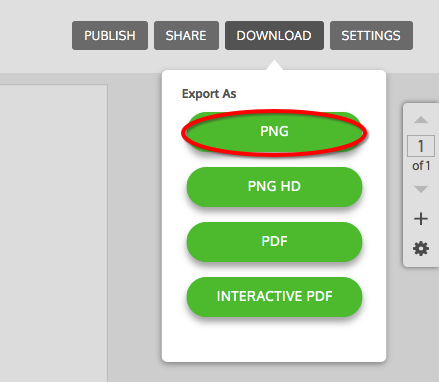 For a faster export, click the 'PNG' button which will render your work with smaller dimensions resulting in a smaller file size. 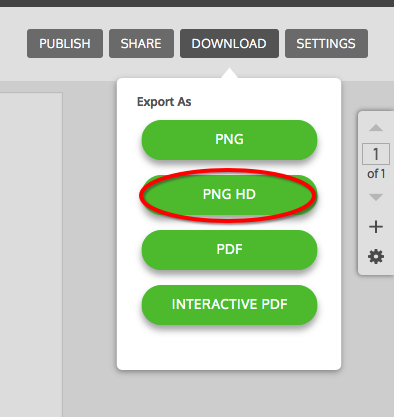 For a higher resolution rendering, click the 'PNG HD' button which will export a better quality image.